Even as much as I did when I was a child, I still love the snow. The anticipation, the excitement, the constantly checking weather.com on my iphone to see the accumulation update (though I never did that as a child...) and then just the beauty of it all. It's one of the only reasons I could want to be outside in temperatures like this. And how pretty is this photo? 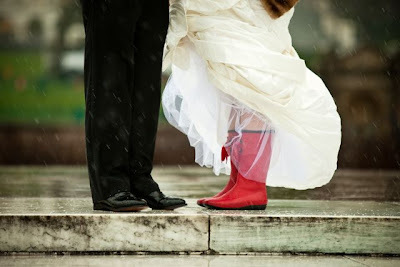 Can you imagine if you got married on a day like today?